Let’s talk about Bandai’s HG Standard. HG 1/144s. (L-R) Spiegel, Geara Zulu (Guards Type), AGE-1 Normal, Banshee Norn, Jesta. 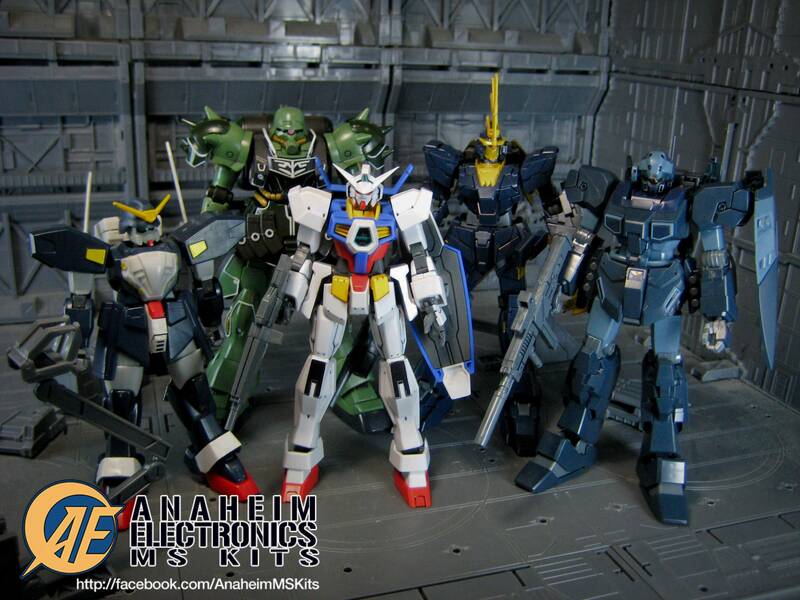 The kits above are just some of the 1/144 HGs over the years. Strictly speaking, the 1/144 Spiegel is a HG class 1/144, There is simply no HG 1/144 back then (1994 release). They (the HGs) are mostly reserved for 1/100 scales. But even for 1994 standards till the EW HG 1/144 release. The Spiegel is years ahead in terms of plastic/color separation in its time. Why so? Look at the foot unit, usually they are just mono colored red or whatever the foot color is. Just one color. Spiegel has two colors for its foot unit! (Well Dragon Gundam does too). Anyway, the main objective of this blog entry is to discuss the current HG standard release and how it differs then and how it is done today. Of course there are some kit/designers are just too stubborn to follow standard. Some deviants did well, some are just okay. So let’s get it on so that you’ll know what I’m blabbering about! So what makes it a Standard release you ask? The latest iteration of the DOM-class heavy armor assault mobile suit as seen in Unicorn Gundam OVA. Price: 400php (as of posting).